This is an article from TheMedicineJournal’s Dr. B. Green. Check out more from TheMedicineJournal.com here. Cramps come in four categories: True cramps, Rest cramps, Tetanic cramps, and Dystonic cramps. The most common of these is the True cramp. 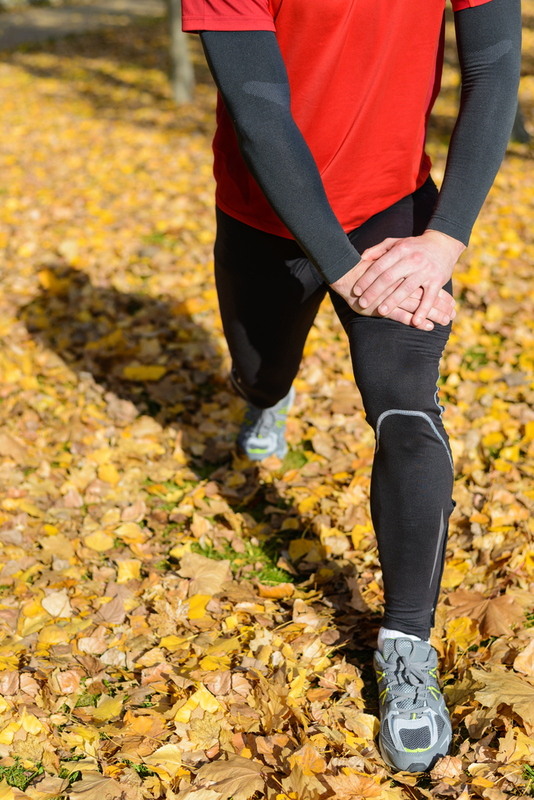 While there are different causes of muscle cramps, like the involuntary contractions associated with seizures, we’ll focus on muscle cramping related to athletics, as this is the most common. Our bodies are composed of over 700 muscles that work together. Occasionally, involuntary contractions of one or more of these muscles will cause a cramp or spasm. A muscle cramp may involve a single muscle, part of a muscle or a number of muscles that work in synergy. Although most skeletal muscle cramps occur in foot and calf muscles, other muscles such as the thighs, arms, hands, and abdomen are also prone to spasms. No one knows for sure the exact mechanism that causes people to cramp during exercise, but there are two main theories, the second of which is generally accepted as the principle cause, though not definitively proven yet. Although not supported by scientific evidence, dehydration is often given as an explanation for why muscle cramps occur in athletes. The lack of evidence might seem difficult to believe because every high-school sports coach preaches hydration as a way to ward them off. The truth is, the only studies showing dehydration, and by extension some of the electrolyte abnormalities associated with dehydration, is the cause of cramps have all been called in to question due to small sample sizes, or that they relied on anecdotal clinical observations. In fact, several studies have shown athletes who cramped during events have the same levels of dehydration, and the same levels of electrolyte concentrations, as those who didn’t cramp. Even though dehydration and electrolyte problems, as a cause of cramping, is not well accepted in the medical field, due to the fact no one has definitively shown the exact cause, this can’t be ruled out altogether. Further, sodium depletion and low blood levels of either calcium or magnesium have been associated with an increased risk of cramping. A quick online search will yield several medical professionals who still hold fast to this line of thinking and some have suggested, even though electrolyte abnormalities may not be the main cause of the cramp, it might predispose you to getting a cramp. The second, and arguably most accepted, theory behind why we cramp during exercise involves muscle fatigue and spinal reflexes. In 1997, Professor Mortin Schwellnus and colleagues proposed this new theory after an extensive review of the studies involved in cramping did not yield any clear cause. Normally when you want your muscles to contract, like when you choose to push down on your bike pedal, the signal comes from a grouping of nerves called your alpha motor neurons. These neurons can be stimulated in three ways. The first is voluntary, and the second is caused by signals from what are known as spinal inter-neurones. The third, and arguably most important when it comes to cramping, involves involuntary reflexes. Muscles have within them tiny structures known as muscle spindles. The main purpose of these spindles is to prevent damage from our muscles being stretched too far. Every time your muscle is stretched, the spindle activity increases with the level of stretching, and causes the muscle to contract when that stretching reaches a certain point. When we doctors hit you in the knee with a tiny hammer-of-torture, this is the cause of the reflex contraction. Your doctor stretches your quadriceps with the hammer, the spindles cause your alpha motor neuron to fire, and your leg muscles contract, and you kick your doctor in the shin! The second reflex involved with cramping comes from what is known as your Golgi tendon organ. This organ is responsible for keeping your muscles from contracting too forcefully, preventing tearing. When this organ is stimulated, it causes the alpha motor neurons to stop firing, forcing your muscle to relax. If you prevent the Golgi tendon organ from working, like in a marathon when you want your legs to continually churn out the miles, the result will be increased firing from your alpha motor neuron, and increased contraction. So knowing how your alpha motor neurons cause your muscles to contract, the theory of cramping goes a little something like this: you’re running a marathon, your alpha motor nerves are consistently fired off by you telling your legs to keep churning. Due to the fact your muscle is fatigued, and your control over it decreasing, this causes the involuntary reaction of your muscle spindles to increase, while simultaneously causing the Golgi tendon organ activity to decrease. The net result of these two reflexes is increased involuntary firing of your alpha motor neurons. You then start jumping around like you’re on hot coals because your calf muscle is contracting like a uterus in labor! Giving credence to this theory as the main cause of cramping is what relieves the cramp. Every athlete knows that stretching will help the contraction. Passive stretching has been shown to decrease Alpha motor neuron activity, thereby relieving the contraction. If electrolyte abnormalities were the cause, stretching would not change the concentration of electrolytes, thus not affect the cramp. Whether you subscribe to the less-accepted dehydration and electrolyte abnormalities theory, or the increased alpha motor neuron proposal, we do know some people are more prone to cramping than others. This suggests a genetic predisposition. Although it’s true no one has ever identified a specific gene that causes you to be a ‘Cramper’, family history of cramping does increase your risk of being one who cramps more than others. Other risk factors for cramping include: increases in intensity and duration of exercises; inadequate conditioning for the activity; and previous occurrences of cramping during or after exercise. In the end, if you want to prevent cramping, time honored practices like a cool down period after the exercise; stretching and warming up well before the activity; and knowing you body’s limits while performing have all been shown to help prevent cramps. If you count yourself one of the unlucky who seem to get cramps more often than a woman in labor, sleep a little more uneasy knowing you’re also more likely to get the dreaded leg-cramp-while-sleeping! I’m a mere sample size of one, but I hike very, very frequently and I can attest to really only having severe calf muscle cramps on the (unfortunate) days when I desert hike in 110+ degree temperature and even a tanker truck of water wouldn’t feel like it was properly hydrating me. Based on that, I’d believe hydration to be at least one direct cause for cramps.